Glo Minerals offers a mineral makeup system uniquely designed for skincare professionals and their clients. The award winning formulations deliver unsurpassed coverage, UV and environmental protection and an exceptional spectrum of mineral pigments. Talc-free, cruelty-free and non-comedogenic, Glo Minerals provides the ideal choice for even the most sensitive skin. The best way to protect your complexion while hiding imperfections is to apply pure and natural mineral makeup. 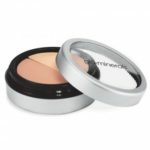 Glo Minerals Pressed Base uses naturally pigmented minerals to help disguise blemishes, redness, dark spots and more. Vitamins A, C and E, plus green tea extract help protect skin against sun damage and other environmental stressors. 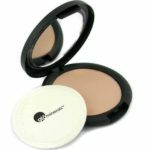 With its fine, triple-milled formula, this pressed powder foundation allows you to achieve sheer to full coverage. Often times, mineral powders do not completely cover all of your blemishes, dark spots and scars. 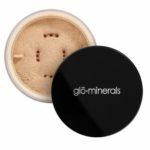 glo minerals Loose Base uses highly pigmented minerals so you can get medium to full coverage without applying a thick or heavy liquid foundation. The lightweight formula covers imperfections while creating a luminous and dewy finish. Minerals and antioxidants protect skin from free radicals and prevent signs of aging such as fine lines and wrinkles. Brush this foundation powder onto your skin for an even tone, smooth texture and radiant finish. Hide dark circles, fine lines and other stubborn signs of aging with glo minerals Concealer Under Eye. This creamy, full-coverage formula features two complementary shades that may be used separately or blended together to conceal a variety of discoloration. It’s also enriched with vitamins A, C and E, as well as green tea extract to help defend skin against the free radicals that can cause signs of aging. In addition to brightening the under-eye area, ultra-hydrating Concealer makes the perfect highlighter for your contouring routine. Glo Minerals Blush uses naturally pigmented minerals to create a healthy glow. These 14 hues feature a potent antioxidant blend of green tea extract and vitamins A, C and E to help provide protection against environmental stressors and signs of aging. 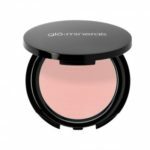 Free of common irritants, like parabens, gluten and fragrance, glo minerals Blush is perfect for all skin types. Add Glo Minerals Blush to your contouring and highlighting routine today and complete your look. 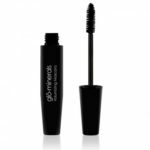 Pump up lashes with this volumizing mascara! Formulated for a smooth, even application, the natural fibers in the Volumizing Mascara enhance each lash. Lashes appear fuller and more luscious in just one application.